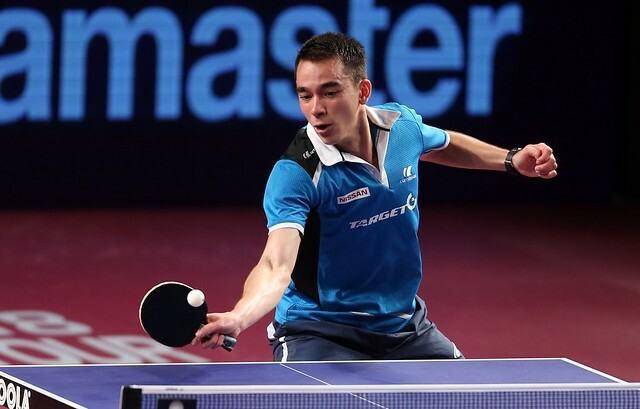 Outcomes as status predicted, Japan’s Kasumi Ishikawa followed by China’s Liu Shiwen emerged successful in the quarter-final contests enacted on the late morning and early afternoon of Saturday 10th March at the Seamaster 2018 ITTF World Tour Platinum Qatar Open in Doha. Kasumi Ishikawa, the no.4 seed, accounted for compatriot, Miu Hirano, the no.7 seed (9-11, 14-12, 7-11, 11-9, 11-9, 14-12), before Liu Shiwen overcame Hitomi Sato (10-12, 11-5, 11-2, 11-5, 11-5) in a contest between two players who had been required to compete in the two day qualification tournament. Two players from the same national association, familiar with each other’s style of play negated the fact that Kasumi Ishikawa was the higher rated player and had won all three previous meetings in World ranking events on the international scene against Miu Hirano. Rarely, throughout the contest was either player able to establish a distinct advantage; a fact reflected in the score-line, all four games won by Kasumi Ishikawa were secured by the minimal two point margin. Only in the third game when Miu Hirano established a 10-6 lead and in the sixth when Kasumi Ishikwa went ahead 10-7 was there ever clear daylight. In the third game Kasumi Ishikawa saved one game point but no more, in the sixth, Miu Hirano saved all three then saved again at 10-11 and 11-12, before on her sixth match point, Kasumi Ishikawa converted. Meanwhile for Hitomi Sato she raised the eyebrows by turning defence to attack to win four points in row from 8-10 down to steal the opening game. However, from that point onwards Liu Shiwen, stung by the reverse, assumed control, the defensive skills of Hitomi Sato a delight to watch; the consistency of Liu Shiwen, sheer perfection. At the semi-final stage Liu Shiwen meets Kasumi Ishikawa, in the opposite half of the draw it is an all Chinese affair, Chen Meng plays Wang Yidi; the matches will played later in the day.